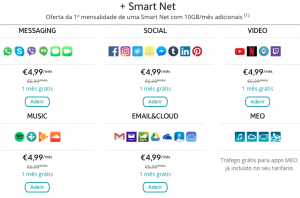 Home » Blog » Is Portugal a Model for Life Without Net Neutrality? Over the past few months, supporters of Net Neutrality have cited Portugal as an example of what can happen when Internet Service Providers are allowed to set up fast lanes, create packages that allow access to some content while blocking or throttling others, and choose winners and losers based on which media outlets they own. 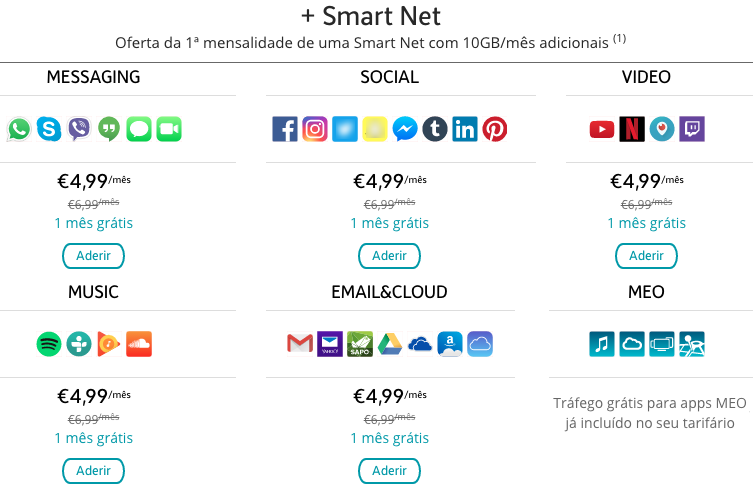 They have circulated a chart from the Portuguese ISP MEO, which sells these kinds of packages to their mobile customers. As you can see, MEO customers select bundles for phone, email, social media, music, video, news, and other sites that combine into their monthly charge. MEO’s proprietary apps are free, and visitors to search engines and blogs like this one can access them for free. The discounted package with a year-long contract, offering access to the complete internet, is 25 euros a month, the equivalent of $27.50, the phone not included. The MEO offering evokes the detested cable bundling — and MEO is also a cable/home internet provider — in which one’s favorite channels are often bundled with others and made available at high monthly cost. The difference between the MEO package and cable packages in the U.S. is that MEO groups similar providers into a thematic package while the cable company in the U.S. may offer Fox in the basic package and charge extra for MSNBC or vice versa, depending on which parent company owns both the ISP and the media outlet — or which political point of view the ISP favors. Bundling is the reason a lot of people in the U.S. have already cut the cord, and it’s why this Portuguese company has become the source of a dystopian internet scenario. The reality of a U.S. without Net Neutrality may, in fact, be far worse than the situation in Portugal. First of all, MEO is one of more than a dozen companies that offer mobile internet service in Portugal. If you don’t like this package, you have plenty of other choices. Since I only live in Portugal part of the year, I don’t have a monthly plan. I use a pre-paid SIM card from Vodaphone that has a low data cap and slow speed but is cheap. In two months in Portugal, I spent 12 euros (about $13.50) to check email and keep abreast of the crumbling political situation in my home country (this was around the time of the Comey firing) while waiting for my metro train. Second, the MEO plan is only for smartphones and tablets. For fixed internet, MEO and the other ISPs are subject to EU Net Neutrality rules. While some ISPs throughout the EU have tested the boundaries of these rules and likely will continue to do so with the end of Net Neutrality in the U.S., the EU does mandate fairness in ISPs’ treatment of customers and website owners. I can’t imagine having to pay a toll for this website in Europe, or having it slowed to the point of uselessness. I know that’s not an issue in Europe, because nearly a third of my website traffic comes from Europe, and nearly half outside the U.S. overall. No one has ever approached me to pay for access. Furthermore, as with mobile providers, home and business internet providers are plentiful in Portugal and the rest of the EU. If one company restricts access or sells bundles, customers will move on. That is not the case in the U.S., where 50 million households, mine included, have zero or one high-speed broadband provider. An aside: You may ask, why are there so many mobile and broadband providers in Europe when there are only so many fiber optic lines and cell towers. The reason is that, by law, the lines and towers must be leased to multiple providers. Last year, the EU also mandated that cellphone users be able cross national borders without incurring roaming charges, thus opening up mobile providers in other countries to Portuguese customers seeking additional alternatives to MEO’s cable TV-style plan. In the U.S., however, the lines and towers are owned by the companies that lay them or build them, even though a lot of the expense of doing so is borne by the municipalities and states. The ISPs may lease part of their capacity (for instance, as Sprint does with Credo), but they have no incentive to do so. It would interfere with their monopoly control, which lets them price-gouge and, now, censor. And that brings us to the third reason why the situation in Portugal is not nearly as bad as the U.S. can become. Forty-three years ago the Portuguese people carried out a revolution against a military dictatorship that strictly censored newspapers, books, television, radio, and even the national music of fado. Since then, people have become wary of any attempt to censor content. Had MEO chosen packages based on the political content of the news site, the company would experience a groundswell of protest. Sometimes a people living in an established democracy come to take their freedoms for granted, thinking they never disappear. But those who’ve experienced dictatorship, or whose parents and grandparents have experienced dictatorship, know that democracy is fragile and requires constant vigilance. 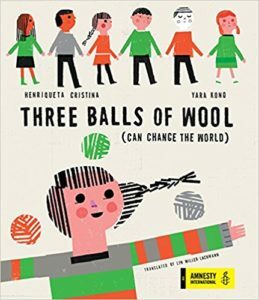 That is certainly the case in Portugal, a country that has struggled over five decades to overcome the underdevelopment forced on it by a retrograde, almost medieval, fascist dictatorship that bankrupted the treasury in colonial wars and drove hundreds of thousands of young people to emigrate. I wonder if the citation of the MEO plan and “the case of Portugal” builds on a stereotype of Portugal as an underdeveloped country, one that shouldn’t be a model for the U.S. If so, the stereotype is backwards. Portugal, as Robert Reich pointed out in his talk in Lisbon last year, is in the process of successfully overcoming a difficult and tragic past. Its trajectory is upward, and the MEO offering is not a sign of declining internet freedom but simply one of a number of choices that mobile users have. The Portuguese people fought long and hard for their freedom and know how fragile — and how important — it is. They will not stand for a complete hand-in-glove corporate/authoritarian government takeover of their internet, and we in the U.S. shouldn’t either. Update May 2018: At the end of February 2018, ANACOM, the Portuguese telecom regulation agency, issued a notice requiring three mobile ISPS — MEO, NOS, and Vodaphone — to amend offers that reduce prices but close off the full internet to subscribers. However, the decision did not eliminate the practice of “zero rating” (allowing some content not to count against data caps), nor did it fine the mobile ISPs for practices in violation of both Portuguese and EU open internet laws. Thank you! By the way, I’m glad you were able to find this article. I’ve been having problems accessing my back end today and the subdirectories are being stripped out, so I can only link the home page. (Right after the piece went up, I was able to link it directly, but no more.) The problem with losing any regulation as a website owner is that when things stop working, I don’t know if it’s just a typical glitch or my monopoly ISP making mischief because I’ve been insulting them publicly for over a year.